If you’re anything like me, you use Google to search for practically everything. More so, you probably conduct searches hundreds of times within the day (and that may not be an exaggeration either). How often have you hit enter/return before you’ve actually completed your search query? Embarrassingly, that happens quite a lot to me. The good news is that it seems I am not alone in this. It seems that quite a lot of people encounter the same issue – otherwise, the guys at Google wouldn’t have bothered to come up with Google Instant. No, it is not coffee. It’s not even noodles that come in cups. What Google Instant is: search on the fly. 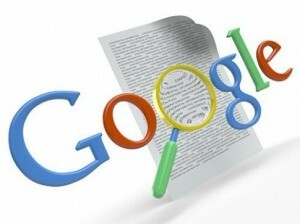 Imagine typing out your search query, and as you type, Google predicts what you are looking for. The search results will actually come out as you key in your search terms. It’s pretty much like the predictive text input on mobile phones, but I suppose much better. Here’s visual sampling of what Google Instant can do for you. As with many other new features/products of Google, not everyone has access to Google Instant yet. The same blog post says that it will be available on Chrome, Firefox, Safari and IE 8. Also, users in countries such as France, Germany, Italy, Russia, Spain and the U.K. will get to experience Instant first. Other countries will have access in the following months.